Explore the fascinating world of handmade books. Learn about their history around the world while you make your own books with earth-friendly recycled materials. All you need are cereal boxes, grocery bags, scissors, glue stick, and Handmade Books for a Healthy Planet. • Book of Haiku from Japan. For over twenty years, Susan Kapuscinski Gaylord has been teaching bookmaking in schools and libraries where her workshops consistently get the highest ratings for combining creativity and enthusiasm with clear, precise directions. 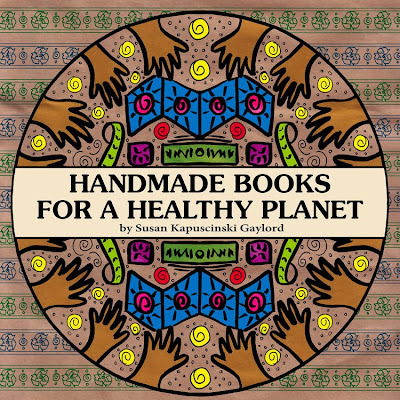 Her years of experience make Handmade Books for a Healthy Planet easy to use and filled with creative possibilities. Sign me up! I want one of these marvelous books! This would be a great resource for my pre-k class!